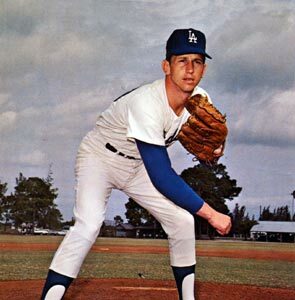 Forever known as “Little D,” as to yield to teammate and fellow Hall of Fame pitcher Don Drysdale, Don Sutton was a workhorse for the Dodgers beginning in the late 1960s and throughout the decade of the 1970s. Sutton is synonymous with consistency and victories. He is the all-time Dodger leader in wins (233), games pitched (550), games started (533), innings pitched (3,814), strikeouts (2,696) and shutouts (52). The Clio, AL native won 324 games in his 23-year career, which also included stops in Houston, Milwaukee, Oakland, Anaheim and a short second stint with the Dodgers in 1988. A four-time All-Star, the 6-foot-1 right-hander pitched in three World Series with the Dodgers (1974, 1977 and 1978). 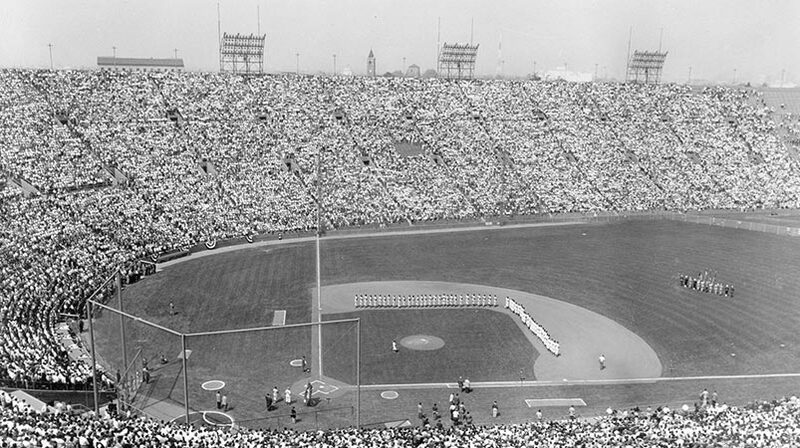 Sutton notched the only win for the Dodgers against Oakland in the 1974 World Series (3-2) and had one of two Dodger victories in the 1977 World Series, beating the New York Yankees, 10-4. He was a two-time winner in the 1974 National League Championship Series, including the 12-1 Pennant-winning Game 4 over Jerry Reuss and the Pittsburgh Pirates at Dodger Stadium. 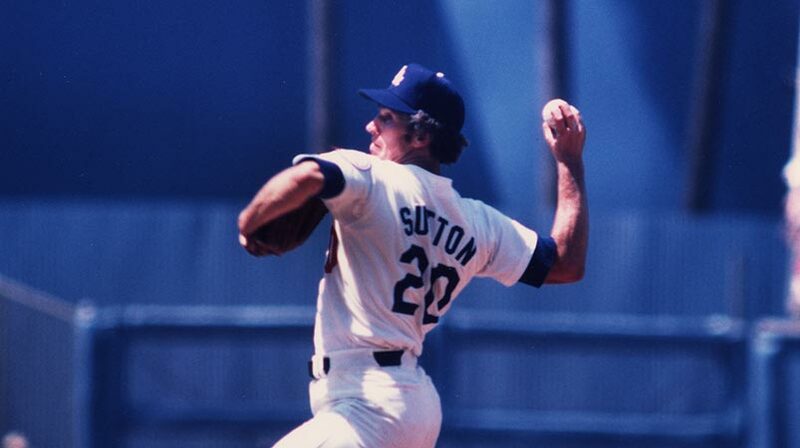 For seven straight seasons, Sutton started on Opening Day for the Dodgers from 1972-78. Although he never pitched a no-hitter, Sutton flirted with it as he had five one-hitters, including taking a no-hitter into the eighth inning twice. He was a 21-game winner in 1976, the N.L. ERA leader in 1980 (2.21) and paced the N.L. in shutouts with nine in 1972. As consistent as they come, Sutton struck out 100 or more batters in each of his first 21 seasons and had 10 or more wins in 21 of his 23 campaigns.